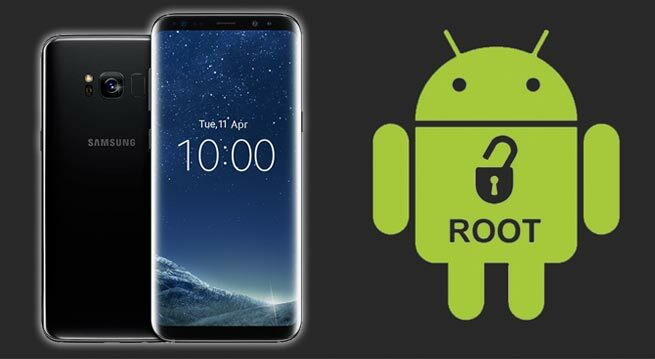 Did you know that recently the Samsung Brand owner’s authority has released its root tool that can support Samsung Galaxy S8 and S8+? That is exciting news for you owner and lovers of Samsung mobile phone. If you just get a new one, it is time you can root Samsung Galaxy S8 using CF-Auto-Root. Even though phone owners will lose Galaxy S8 warranty if they roof it, but the fact many people still want to do it. This is reasonable because by rooting it, the owner can become their developer for their phone and adjust the feature to their needs. In this occasion, we will help you to root Samsung Galaxy S8 in a simple and easy to understand way. In this post, we will help you to provide an easy-to-understand tutorial for rooting on Samsung Galaxy S8 using CF-Auto-Root. What you need to know is that it is not dependent on the firmware. Therefore, you can use the tutorial to root Galaxy S8 on other future firmware updates. • Download Samsung mobile drivers for Galaxy S8 models on your computer. • Download and extract CF-Auto-Root as per your device. G950F, G950N, G950U, and G950W. Make sure your phone has half or more power. Backup any important files on your phone. Go to Setting, About Phone, Software Info, Tap about five times to enable developer options on the Build Number. Go back to Setting. Only those who have received the message that can find the new developer options menu. Unlock OEM and USB Debugging options by going to Setting and Developer Option. • Note the model number. It should be G950F, G950N, G950U, and G950W. Unzip Odin on the computer then plug it in the PC. Unzip the Chainfire file to retrieve the file.tar.Md5 on the computer. Turn off the phone then go into Download Mode by pressing and hold Volume Down + Bixby buttons simultaneously and then press the Power key until you see the construction Android robot sign..
Press the Volume Up key once to confirm it and continue. Open Odin on the computer connect the phone with PC while still in download mode. Once connected successfully, you will receive a message in Odin “Added!” and one of the ID: COM port will turn to yellow. If you do not get it, try checking the USB port or replace it with another one. If this does not work as well, reinstall the USB driver. In Odin, click AP/PDA button then select file tar.Md5 CF-Auto-Root extracted earlier. Ensure that only F. Reset Time and Auto Reboot option is checked. Then every other option should be unchecked. Reset selected time then click start to start root process. When the root process is complete, you will get the PASS message along ID: COM which turns green. Once your device is rebooted automatically in recovery mode and install the necessary files, you will see the home screen. Now you can release your Samsung Galaxy S8. That is the easy step you can take to root Samsung Galaxy S8 using CF-Auto-Root. If after installation you find your device is stuck on the boot screen and does not go into recovery mode, one thing you should do is to perform the above steps procedures in its entirety once again.